There will be a 7:00 am Mass on Friday, July 4th. There will not be a 12:10 pm Mass on Friday, July 4th at the Cathedral. and Your tender, faithful love. of Your Son, Jesus Christ. of the treasure we hold in Jesus. Finally, government is to see to it that the equality of citizens before the law, which is itself an element of the common welfare, is never violated for religious reasons whether openly or covertly. Nor is there to be discrimination among citizens. It follows that a wrong is done when government imposes upon its people, by force or fear or other means, the profession or repudiation of any religion, or when it hinders men from joining or leaving a religious body. All the more is it a violation of the will of God and of the sacred rights of the person and the family of nations, when force is brought to bear in any way in order to destroy or repress religion, either in the whole of mankind or in a particular country or in a specific community. Click here to read the reflection on the above excerpt for Day 10. The protection and promotion of the inviolable rights of man ranks among the essential duties of government. Therefore, government is to assume the safeguard of the religious freedom of all its citizens, in an effective manner, by just laws and by other appropriate means. Government is also to help create conditions favorable to the fostering of religious life, in order that the people may be truly enabled to exercise their religious rights and to fulfill their religious duties, and also in order that society itself may profit by the moral qualities of justice and peace which have their origin in men's faithfulness to God and to His holy will. Click here to read the reflection on the above excerpt for Day 9. This year's CathedralFest will take place earlier this year on September 27 & 28th. Please mark your calendars to join us this year! See the bulletin insert this weekend for more information. Since the family is a society in its own original right, it has the right freely to live its own domestic religious life under the guidance of parents. Parents, moreover, have the right to determine, in accordance with their own religious beliefs, the kind of religious education that their children are to receive. Government, in consequence, must acknowledge the right of parents to make a genuinely free choice of schools and of other means of education. The use of this freedom of choice is not to be made a reason for imposing unjust burdens on parents, whether directly or indirectly. Besides, the rights of parents are violated if their children are forced to attend lessons or instructions which are not in agreement with their religious beliefs. The same is true if a single system of education, from which all religious formation is excluded, is imposed upon all. Click here to read the reflection on the above excerpt for Day 8. Vocations Director for the Diocese of Winona, Fr. Will Thompson, has been creating a great new video video series about our faith and about vocations called Living the Fourth. The newest video in the series, Reconciliation, is posted below, along with a link to the rest of the videos in the series. For the most up-to-date information on new postings, please check our Facebook page. Religious bodies also have the right not to be hindered in their public teaching and witness to their faith, whether by the spoken or by the written word. However, in spreading religious faith and in introducing religious practices, everyone ought at all times to times to refrain from any manner of action which might seem to carry a hint of coercion or of a kind of persuasion that would be dishonorable or unworthy, especially when dealing with poor or uneducated people. Such a manner of action would have to be considered an abuse of one's own right and a violation of the rights of others. In addition, it comes within the meaning of religious freedom that religious bodies should not be prohibited from freely undertaking to show the special value of their doctrine in what concerns the organization of society and the inspiration of the whole of human activity. Finally, the social nature of man and the very nature of religion afford the foundation of the right of men freely to hold meetings and to establish educational, cultural, charitable, and social organizations, under the impulse of their own religious sense. Click here to read the reflection on the above excerpt for Day 7. The freedom or immunity from coercion in matters religious which is the endowment of persons as individuals is also to be recognized as their right when they act in community. Religious bodies are a requirement of the social nature both of man and of religion itself. Provided the just requirements of public order are observed, religious bodies rightfully claim freedom in order that they may govern themselves according to their own norms, honor the Supreme Being in public worship, assist their members in the practice of the religious life, strengthen them by instruction, and promote institutions in which they may join together for the purpose of ordering their lives in accordance with their religious principles. There is a further consideration. The religious act whereby men, in private and in public and out of a sense of personal conviction, direct their lives to God transcend by their very nature the order of terrestrial and temporal affairs. Government, therefore, ought indeed to take account of the religious life of the people and show it favor, since the function of government is to make provision for the common welfare. However, it would clearly transgress the limits set to its power were it to presume to direct or inhibit acts that are religious. Click here to read the reflection on the above excerpt for Day 5. On his part, man perceives and acknowledges the imperatives of the divine law through the mediation of conscience. In all his activity a man is bound to follow his conscience faithfully, in order that he may come to God, for whom he was created. It follows that he is not to be forced to act in a manner contrary to his conscience. Nor, on the other hand, is he to be restrained from acting in accordance with his conscience, especially in matters religious. For, of its very nature, the exercise of religion consists before all else in those internal, voluntary, and free acts whereby man sets the course of life directly toward God. No merely human power can either command or prohibit acts of this kind. However, the social nature of man itself requires that he should give external expression to his internal acts of religion; that he should participate with others in matters religious; that he should profess his religion in community. Injury, therefore is done to the human person and to the very order established by God for human life, if the free exercise of religion is denied in society when the just requirements of public order do not so require. Click here to read the reflection on the above excerpt for Day 4. Further light is shed on the subject if one considers that the highest norm of human life is the divine law - eternal, objective, and universal - whereby God orders, directs, and governs the entire universe and all the ways of human community, by a plan conceived in wisdom and love. Man has been made by God to participate in this law, with the result that, under the gentle disposition of Divine Providence, he can come to perceive ever increasingly the unchanging truth. Hence every man has the duty, and therefore the right, to seek the truth in matters religious, in order that he may with prudence form for himself right and true judgments of conscience, with the use of all suitable means. 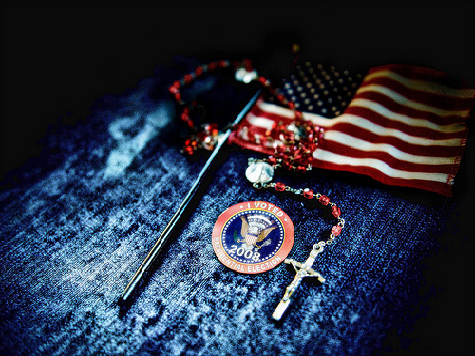 Join Bishop John M Quinn and the rest of the United States Council of Catholic Bishops (USCCB) to kick-off to Fortnight for Freedom on Saturday, June 21st. 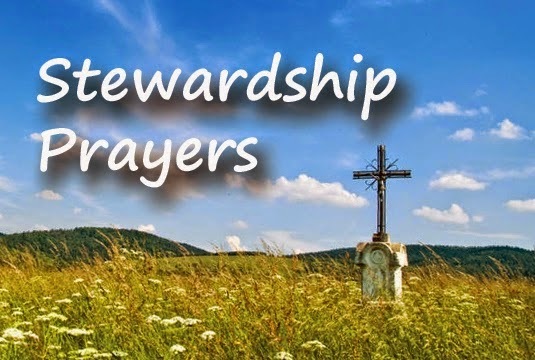 Our Saturday Holy Hour on June 21 (following the 8:00 am Mass at Cathedral), will also be dedicated to this most important cause. The Fortnight for Freedom: Freedom to Serve takes place from June 21 to July 4, 2014, a time when our liturgical calendar celebrates a series of great martyrs who remained faithful in the face of persecution by political power—St. Thomas More and St. John Fisher, St. John the Baptist, SS. Peter and Paul, and the First Martyrs of the Church of Rome. The theme of this year's Fortnight will focus on the freedom to serve the poor and vulnerable in accord with human dignity and the Church's teaching. If you unable to attend our Holy Hour, please consider saying a rosary or novena for Religious Freedom around the world. More information on current attacks on Religious Freedom can be found here. Why is Mary so Important to Us? The better we know Mary, the better we will know her Son. “Mary: A Biblical Walk with the Blessed Mother” is an extraordinary pilgrimage that reveals Mary's unique role in God's Kingdom and in our lives. Filmed on location in the Holy Land, the 8-part DVD Study Series will place you in the midst of the powerful drama of her earthly life, taking you through her joys...and her sorrows. You will learn how she works in our lives today, drawing us ever closer to her Divine Son. Seeing Mary in this way will change you forever. Mary will become a part of your daily life, and in your daily life, you will become more like Christ. Join Bishop John M Quinn this Thursday, June 19 at the 12:10 pm Mass at Cathedral for our kick-off to Fortnight for Freedom. Our Saturday Holy Hour on June 21 (following the 8:00 am Mass at Cathedral), will also be dedicated to this most important cause. The Fortnight for Freedom: Freedom to Serve will take place from June 21 to July 4, 2014, a time when our liturgical calendar celebrates a series of great martyrs who remained faithful in the face of persecution by political power—St. Thomas More and St. John Fisher, St. John the Baptist, SS. Peter and Paul, and the First Martyrs of the Church of Rome. The theme of this year's Fortnight will focus on the freedom to serve the poor and vulnerable in accord with human dignity and the Church's teaching. If you unable to attend these events, please consider saying a rosary or novena for Religious Freedom around the world. More information on current attacks on Religious Freedom can be found here. 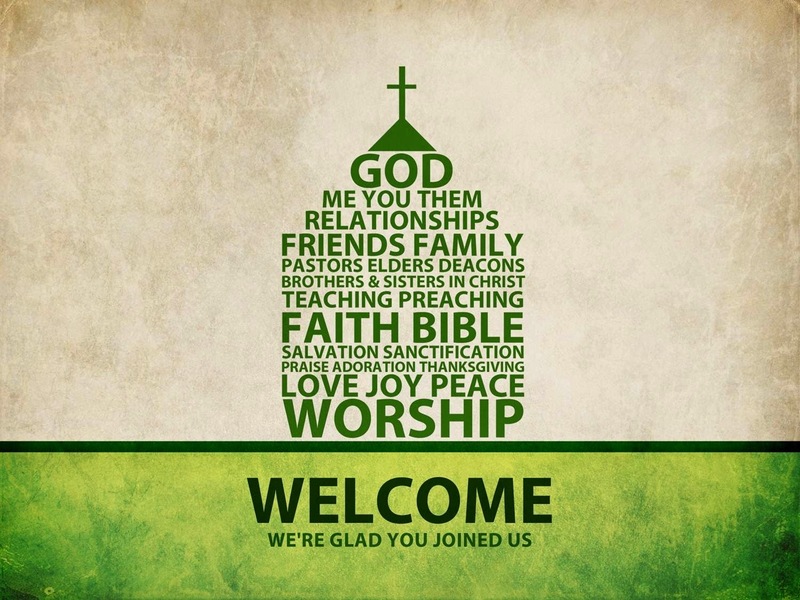 Welcoming Newcomers to your parish is not just the job of the pastoral staff, ushers, ministers of hospitality or greeters/ushers. It is everyone's responsibility. Here are ten things you can so to provide better hospitality in your parish. 1. Cultivate the virtue of hospitality at Mass. Many Mass attendees tend to gather into little cliques and ignore those who are not members of their particular clique. They are not really inhospitable, just heedless of the need for hospitality. Make hospitality a new habit when you go to Mass. 2. Come early, leave late. Instead of rushing to Mass to be there on time, and then rushing out at its conclusion, make time to come a little early and linger just a bit later. Make room in your busy life to greet and spend time with others at Mass. 3. Go in peace to greet someone! Seek out someone you not met before. Shake their hand, introduce yourself, and take a few moments to welcome them to your parish home, God's house. 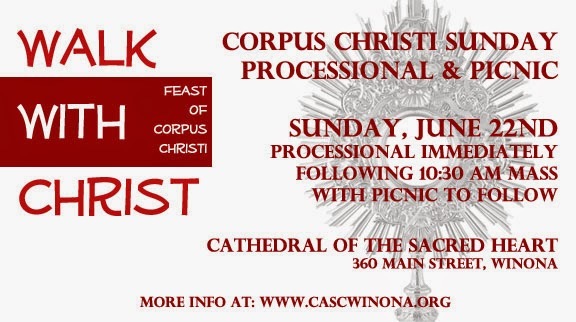 Please RSVP to the Parish office no later than Wednesday, June 18th if you plan to attend the picnic so we can plan the food. There will be a free will offering and give away of items left in the Cathedral School this Saturday, June 14th from 9:00 am - Noon. Come out to see if there's something you can use and see the inside of the school building one last time! The monthly Holy Hour for Life, Marriage & Religious Liberty will take place on June 21st at 8:30 am, after the 8:00 am Mass in the Adoration Chapel at Cathedral (360 Main Street). All are welcome! There is an upcoming Virtus Session being held at Cathedral of the Sacred Heart in the St. Thomas Room from 6:00-8:30 pm. All parish volunteer who work with children, youth and vulnerable adults are asked to attend one training session. Please register by going to our Safe Environment page and clicking on "Sign up for a Virtus Session". Registration is required. If you have questions or do not have a computer, please contact the parish office and we'll be happy to help! Have you ever wondered why Mary is so important to our faith as Catholics? We turn to her in prayer, in the Mass, in the Rosary, and in Marian devotions. We honor her with special feasts celebrating the significant events in her life. We place images of her in our churches and homes. This Study Series reveals Mary's unique role in God's Kingdom and in our lives. Filmed on location in the Holy Land, it will place you in the midst of the powerful drama of her earthly life, taking you through her joys and her sorrows. You will learn how she works in our lives today, drawing us ever closer to her divine Son. Mary will become a part of your daily life and help you to become more like Christ. There will be a free will offering and give away of items left in the Cathedral School on Saturday, June 14th from 9:00 am - Noon. Come out to see if there's something you can use and see the inside of the school building one last time! 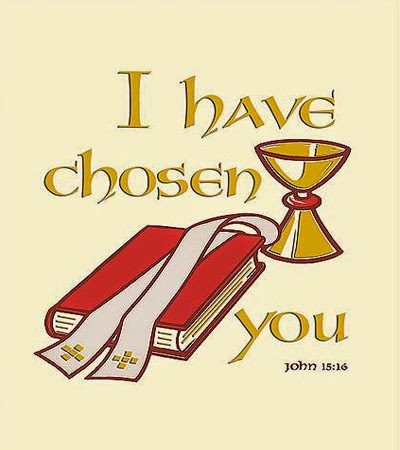 As the Diocese celebrates its 125th Anniversary, they are launching a campaign to celebrate the generous response of the people of the diocese to bring Christ to the fringes of society. If your project fulfills the criteria found here, they want to hear from you! Videos of the finalists will be showcased at the 125th Anniversary Celebration at the Verizon Wireless Center on September 13, 2014. Finalists will receive grants up to $10,000! For more information please visit the website or check out the Diocese of Winona's Facebook post. 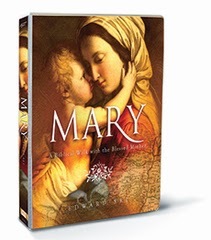 Filmed on location in the Holy Land, this DVD Study Series will place you in the midst of the powerful drama of Mary’s earthly life, taking you through her joys and her sorrows. You will learn how she works in our lives today, drawing us ever closer to her divine Son. Seeing Mary in this way will change you forever. It will change the way you pray the Rosary and meditate on the Mysteries. Mary will become a part of your daily life and help you to become more like Christ. There is an upcoming Virtus Session opportunity being held at Cathedral of the Sacred Heart in the St. Thomas Room from 6:00-8:30 pm. of your presence each day. We pray this in Jesus’ name. Congratulations to Jonathan Fasnacht, who will be ordained a Deacon today at St. Ann Parish in Janesville, MN. He will return to Sacred Heart Major Seminary in the fall to complete his formation before being ordained to the priesthood in the spring of 2015. 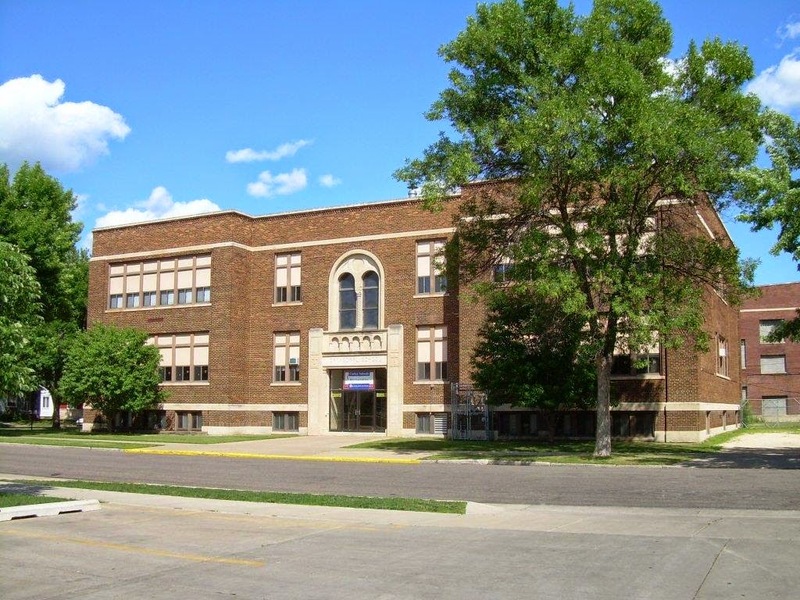 The St. Thomas Aquinas Newman Center, which serves the students of Winona State University, is seeking a part time Administrative Assistant to serve on their ministry team. A person in this position will prepare correspondence, edit newsletters and appeal letters, work with social networks, help coordinate events, etc., and be a welcoming presence in the office. To learn more, contact Tom Parlin at 452-2781. Send letter and resume to 475 Huff St., Winona, MN 55987 or to newman1@hbci.com. The start time for this position will be August 1. Applications will be taken through Monday, June 16th.